Pianist Willie Pickens, 86, a powerful, lyrical and generous modernist who performed, taught and mentored young musicians from Chicago starting in 1959, died of a heart attack on Dec. 12 while at Jazz at Lincoln Center in New York City, readying himself to play at Dizzy’s Club Coca-Cola with 29-year-old trumpeter Marquis Hill. Having heard him often in the past three years, I can attest that Pickens was at the height of his creativity, and a warm, engaging presence in every public context. For instance, at the 40th anniversary party of Southport Records (which put out his debut cd as a leader, It’s About Time!, in 1986) at the Green Mill last Nov. 5, Willie performed a stunning rendition of “Giant Steps,” John Coltrane’s chord-running piece, and then improvised piano duets with composer George Flynn. The two tangled seriously, thornily, although they’d only had talk-through preparation. Willie said afterwards that he’d had to stretch. However, extending himself seemed to come naturally for this gentleman, who taught music in Chicago’s public schools from the mid ’60s until the mid ’90s, when he went on international tour with Coltrane drummer Elvin Jones’ Jazz Machine. Prior to then he’d gained a reputation and fans without leaving town very often. He earned admiration as a frequent collaborator with well-known jazz stars passing through Chicago, often gigging at Joe Segal’s Jazz Showcase. Pickens is heard on saxophonist Eddie Harris’ 1961 hit version of the theme from “Exodus”; he recorded with Marian McPartland as well as with Elvin Jones, and A Jazz Christmas (on Southport), which led to his 2016 Kennedy Center “Jazz Piano Christmas” concert. According to Howard Reich in the Chicago Tribune, Pickens had a spiritual side, reflected in his oversight of an annual Christmas benefit concert at Hyde Park Union Church. He initiated the jazz program at south side Kenwood Academy High School in the ’60s, taught for years at Northern Illinois University, founded the Ravinia Jazz Mentor program in north suburban Highland Park in 1995 and intended to continue work in Ravinia’s Reach Teach Play Education program when he returned from New York. He had appeared at the Hyde Park Jazz Festival, and at Jazz Institute of Chicago events including its summer Straightahead Jazz Camp. He had a welcoming smile. 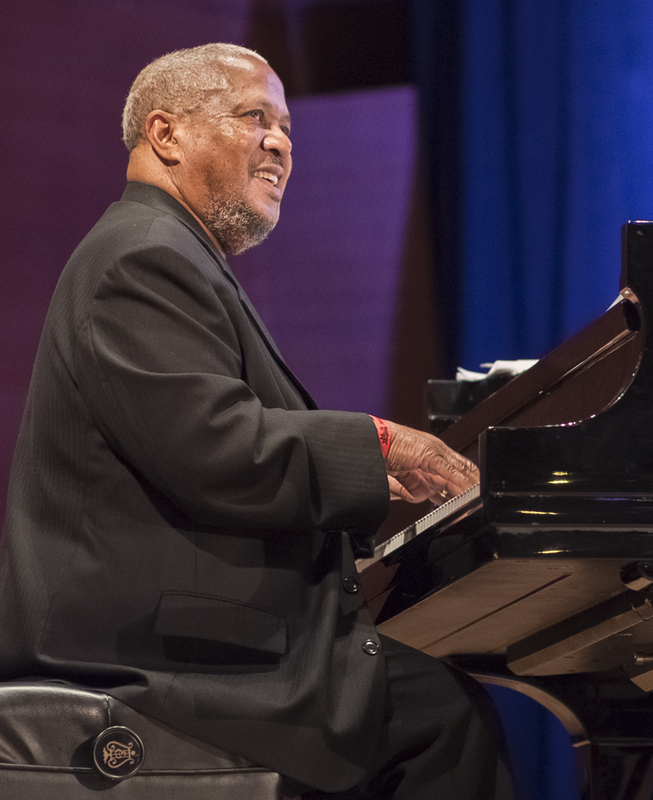 Chicago has a long legacy of important, creative and popular pianists — think Jelly Roll Morton, Earl Hines, Nat “King” Cole, Ahmad Jamal, Herbie Hancock — and Willie Pickens has a place in that line. His daughter Bethany Pickens is also a pianist, and teaches at Kenwood Academy High School. The two played Christmas song, jazzily, at the Kennedy Center in 2016, on two pianos. That was something like standard operating procedure; here’s their 2015 performance at Chicago’s Piano Forte, originally broadcast live by radio station WDCB. Willie Pickens will be missed, and remembered.